“HackHarvard was maybe my 10th hackathon,” said Nicolas MacBeth, a first-year software engineering student at Concordia. He and his friend Alex Shevchenko, also a first-year software engineering student, have decided to make a name for themselves and frequent as many hackathon competitions as they can. The pair have already participated in many hackathons over the last year, both together and separately. “I just went to one last weekend [called] BlocHacks, and I was a finalist at that,” said MacBeth. 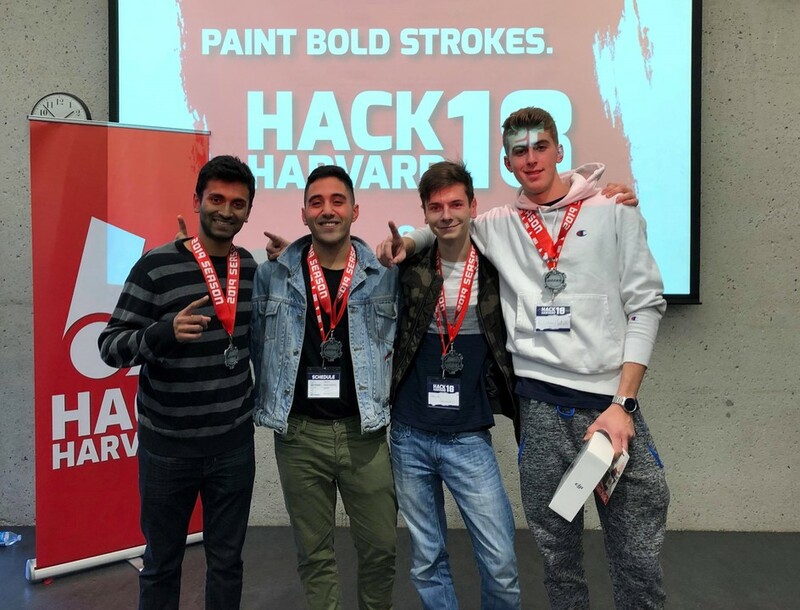 Most notable of the pair’s achievements, along with their other teammates Jay Abi-Saad and Ajay Patal, two students from McGill, is their team’s first place ranking as ‘overall best’ in the HackHarvard Global 2018 competition on Oct. 19. According to MacBeth, while all hackathons are international competitions, “HackHarvard was probably the one that had the most people from different places than the United States.” The competition is sponsored by some of the largest transnational conglomerates in the tech industry. For example, Alibaba Cloud, a subsidiary of Alibaba Group, a multinational conglomerate specializing in e-commerce, retail, and Artificial Intelligence (AI) technology, as well as Zhejiang Lab, a Zhejiang provincial government sponsored institute whose research focuses on big data and cloud computing. MacBeth explained that the user-friendly web application could be helpful in a range of situations, from trying to convince an inebriated friend not to drive under the influence, to law enforcement officials conducting roadside testing in a way that reduces bias, to employees, who may have to prove sobriety for work, to do so non-invasively. Sober.AI estimates the overall percentage of sobriety through a series of tests that are relayed via visual data—either a photo of an individual’s’ face or a video of the individual performing a task—that is inputted into two neural networks designed by the team of students. “We wanted to recreate a field sobriety test in a way that would be as accurate as how police officers do it,” said MacBeth. The first stage is an eye exam, where a picture of an individual is fed to the first neural network, which gives an estimation of sobriety based on the droopiness of the eye, any glassy haze, redness, and whether the pupils are dilated. The second stage is a dexterity test where individuals have to touch their finger to their nose, and the third is a balance test where people have to stand on one leg. “At the end, we compile the results and [sober.AI] gives a percentage of how inebriated we think the person is,” said MacBeth. MacBeth and Shevchenko have gone their separate ways in terms of competitions for the time being, however the pair’s collaborations are far from over. Both are planning to compete separately in ConUHacks IV at the end of January 2019, where MacBeth explained that they will team up with other software engineering students who have yet to compete in hackathons. “We’re gonna try to groom other people into becoming very good teammates,” said MacBeth.